The NJ online sports betting industry is booming. Things have been changing rapidly in the past year and the main upside is that sports betting fans now have an amazing choice when it comes to deciding where to place their wagers. But with the increase in choice and sites, NJ sports betting fans will need to know where to go to get the best service, the best markets and the best odds. This NJ sports gambling guide will give you all the details you need to enjoy your sports betting – and discover what each site has to offer. Read on to find out more about what is happening with NJ online sports betting. The NJ sports betting industry is constantly changing and improving. Here are some details about some of the best places to bet on sports in New Jersey. So much has happened in the last year or so that it can sometimes be quite difficult to keep up with all the latest developments when it comes to betting NJ. Most of the best NJ betting sites have well known retail affiliates – that is, they are linked with a land-based sportsbook. Many of them have business relationships with sports betting in Atlantic City – so you know there is a wealth of experience in even the newest ventures. This is where we are at the moment with betting in the Garden State and the shape of NJ online sports betting sites. The Supreme Court of the United States overturned PASPA (Professional and Amateur Sports Protection Act) which effectively made sports betting legal in the country – or at least it gave individual states the right to choose for themselves what they wanted to do. The act was repealed in May 2018 and New Jersey was one of the first states in the country to aggressively adopt a position of legalizing and allowing licensed sports betting. The existence of land-based casinos meant that sportsbooks could be easily incorporated – and that has led to the introduction of online sports betting in the state. Who Were the First Online Sportsbooks NJ? Plans had been made well ahead of the official ruling in May 2018 to overturn PASPA and the first online sports betting site was DraftKings in August of that year. The fantasy sports company had been expected to make the move into sports betting as well – and it was soon followed by playMGM, SugarHouse, FanDuel and William Hill. Caesars launched just in time for the new NFL season in September and were joined in the NJ online sports betting ranks by 888Sport and BetStars soon after. The list of online betting NJ sites is growing all the time and now every Atlantic City sportsbook is either already involved – or soon to join the group. One area that the new online sports betting sites have quickly expanded into is mobile apps. Any sports betting fan wants the freedom an app can give them to make their selections and wagers whenever they want. Now, these new downloadable apps give them that opportunity. The SugarHouse online sports betting site launched its app as part of the existing casino operation. This means that customer account holders can seamlessly switch from betting on the game to playing at the table. This is a good move to keep their customers happy and busy. The clean layout is a particular attraction – and it still manages to convey a lot of information in what could be considered a small area. The app is available for both iOS and Android and can be downloaded from the App Store or a link for Android. FanDuel used its experience in the fantasy sports arena to move into the online sports betting world – and it has been a huge success. Teaming up with established Irish/British bookmaker Paddy Power, FanDuel has been able to use their expertise and offer a very comprehensive choice of betting markets that can all be accessed through the mobile app. Once again the FanDuel app is available for iOS and Android users. PointsBet has introduced its sports betting app as it attempts to be one of the biggest and most popular sports betting sites in New Jersey. Different to the SugarHouse and FanDuel apps, PointsBet has gone for a darker look of their app but everything is still as easy to use – and gives its customers exactly what they need. 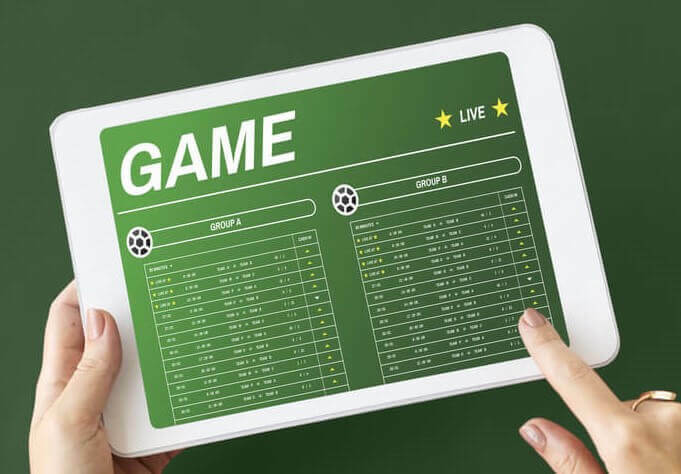 There is a good range of betting markets – as on the PointsBet site – and iOS and Android users can download the app onto their devices with no trouble at all. Looking after your money at online sports betting sites is just as important as the range of betting markets and odds that are available. Customer account holders need to know that their money is being well looked after. All the NJ online sports betting sites listed in this article have the safest and most secure procedures for the movement of money in and out of accounts. These are trusted, licensed sports betting sites so you can concentrate on the betting side of things and not worry about the security. Obviously, every sports betting site is different but there is usually the same choice of payment methods open to customers when it comes to depositing and withdrawing funds in and out of accounts. You should check with the online sports betting site of your choice before you make a decision on opening a customer account – but you should find that most bookmakers have the same methods. One of the best things about online sports betting sites is that you will almost always be offered some kind of offer to join up with them. The welcome bonus is where they can make a play for your business and potential customer account holders should know that they can shop around for the best deals. Generally, welcome promotions will offer free bets, deposit matches or risk-free bets where you get your money back if your first bet loses. These are all really great but that is not the end of the giveaways. Once you have registered with an online sports betting site you can then take a look at all the other promotions that they have on offer. Sports betting sites also like to time certain promotions with big sporting events. It is always a good idea to check the promotions page around the time of the Super Bowl, soccer’s World Cup or the Kentucky Derby, for example. There are also ongoing promotions that give customers more freedom in their parlay betting – or to double winnings on particular bets. We just touched on the subject of major sports events when we were talking about tie in promotions. But any new sports betting site customer account holder should have a good idea of when the next big events are coming up. This allows players to take advantage of some possible promotions – it is because these major events can have hundreds of betting markets associated with them – and that gives bettors more chance of finding the right wager. Here are some of the big sports events for New Jersey bettors that will be just as big on the online sites as they are at the Atlantic City sportsbooks. The NFL’s championship game – and world famous event – is the pinnacle of the football season and is watched all across the globe. It takes place around the start of February and is one of the biggest sports events out of all of them. New Jersey online sports betting sites will have hundreds of markets covering moneyline bets, spreads and totals – as well as all craziest prop bets you can think of. The Nets might have moved from New Jersey but there is still a lot of interest in the NBA – and even the Brooklyn team! They might not be likely to get to the championship game any time soon but if basketball is your thing then betting sites have a huge selection of markets for you – covering each and every game. New Jersey hoops fans know that basketball isn’t all about the NBA. March Madness is the annual college basketball tournament where the best NCAA teams go against each other to make the Final Four and then to become the champions. All betting sites will have plenty of markets to choose from when it comes to this prestigious event – and there is sure to be a few promotions around as well. NJ fans will be hoping for a Seton Hall or Rutgers triumph but all competing colleges will be covered. If you like your horse racing then there are over 20 racetracks in the state of New Jersey and some big races that always attract a lot of attention. The NJ online sports betting sites will all cover the United Nations Stakes at the Monmouth Park track, the Tony Gatto Dream Big Stakes at Mays Landing, and Haskell Invitational Handicap – also at Monmouth Park. Some of the top online betting sites are affiliated with the Monmouth Park operation so there are bound to be a lot of special markets introduced for some of these events. As time goes on there will be more and more online sports betting sites springing up in New Jersey. This is good for customers as there will be more welcome promotions and more chance to find the real value bets because of the competition between bookmakers. Potential account holders should do their research before signing up with any online sports betting site to make sure that they are safe and secure. This list will grow as 2019 goes on but these are the places to bet right now in NJ.